Douglas Kellner is George Kneller Chair of Philosophy of Education at UCLA. He is the author of many books on social theory, politics, history, and culture, including Camera Politica: The Politics and Ideology of Contemporary Hollywood Film, co-authored with Michael Ryan, and Media Spectacle and the Crisis of Democracy. He is the co-editor of Media and Cultural Studies Keyworks (Wiley-Blackwell 2006). Kellner’s most recent book is Guys and Guns Amok: Domestic Terrorism and School Shootings from the Oklahoma City Bombings to the Virginia Tech Massacre. His website is at www.gseis.ucla.edu/faculty/kellner/kellner.html. Films and documentaries discussed include: Black Hawk Down, The Dark Knight, Star Wars, Syriana, WALL-E, Fahrenheit 9/11 and other Michael Moore documentaries, and many more. 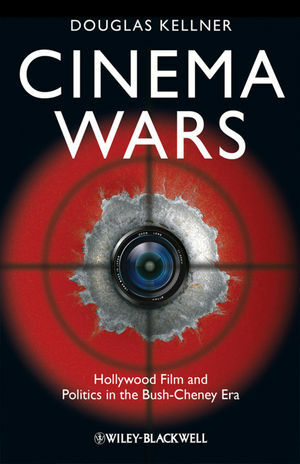 Investigates Hollywood’s treatment of a range of hot topics, from terrorism and environmental crisis to the Iraq war and the culture wars of the 2000s.